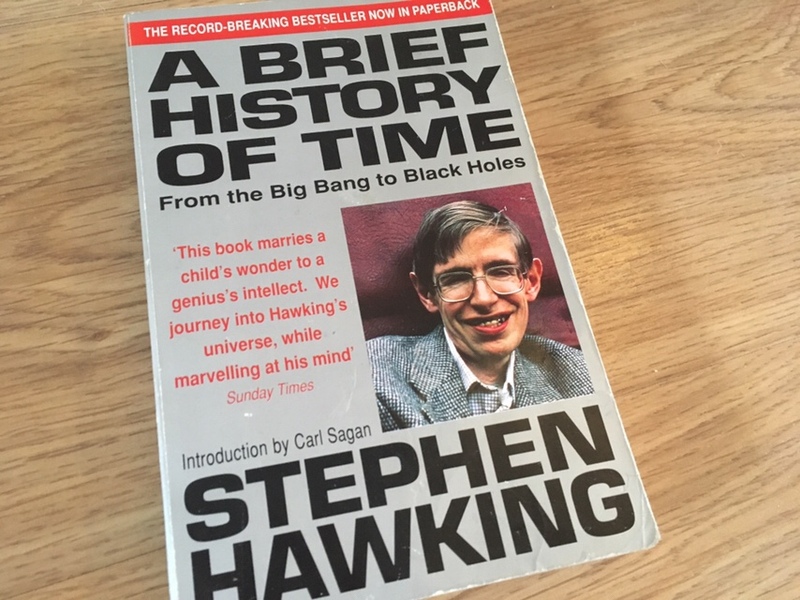 I first read A Brief History of time by prof Stephen Hawking in 1995 during my BSc in applied maths and theoretical physics. I really enjoyed the book at that time (realistically it’s probably pitched at about undergraduate level). I was excited by the mathematics I was learning in my degree modules on relativity and quantum mechanics but I needed to discuss the philosophical and cosmological implications. Strangely there isn’t a lot of space in a physics degree to talk about these ideas. I wasn’t the best physics student, I found the subject hard. But I was drawn to the hardest modules (solar magnetohydrodynamics anyone?) as to me they were clearly the most interesting! I often felt ‘not good enough’ in physics. That Stephen Hawking took the time to write A Brief History of time, a “popular science” book, for ordinary people with unexceptional minds, meant everything to me. Looking back I can see it was an important step on my path to my MSc in science communication and where I am now. 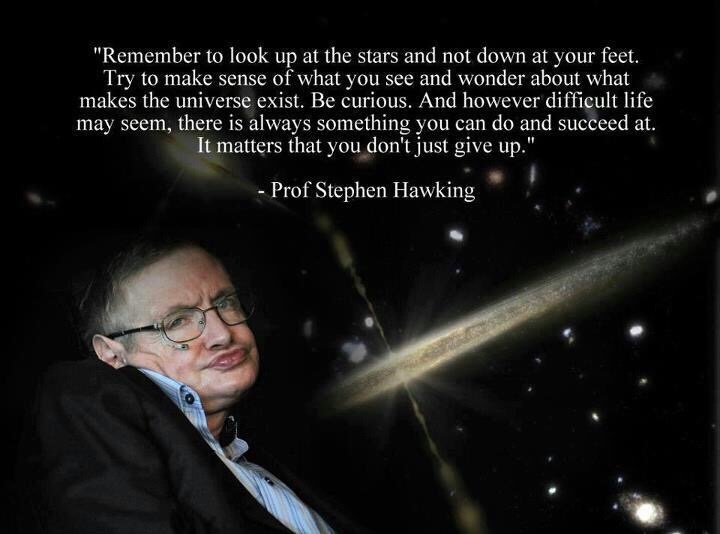 Thank you Professor Stephen Hawking.